Metro government ordered the report following multiple lawsuits against the LMPD explorer program. LOUISVILLE, Ky. (WDRB) — In the wake of lawsuits against the LMPD Explorer program, the city of Louisville is implementing new policies to prevent abuse of children and teens in city programs. In a news release, Mayor Greg Fischer’s office says he ordered a review last spring following the abuse allegations. An outside agency was hired to assess the youth-serving programs within the city and partner agencies. The move came, five victims filed lawsuits claiming they were sexually abused or raped by LMPD officers who served as mentors in the Youth explorer program. The lawsuits also claim the police department covered up the cases. All city employees are already required to report abuse of a child either verbally or in a written report. Some agencies require additional oversight. But the report says policies varied from agency to agency based on the programs involved, including Jefferson County Public Schools. The McNary Group sent the city their four recommendations and identified best practices for youth programming involving city employees. Among the recommendations are a stronger policy, more training, additional education and a detailed code of conduct. McNary said in its report that adoption of the recommendations could make Louisville an example to other cities of how to handle allegations of child abuse. 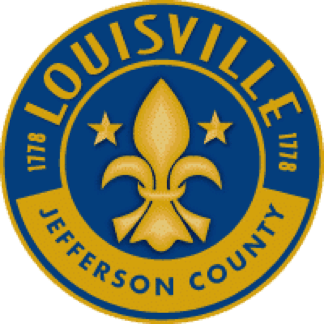 Louisville Metro Government should create a comprehensive and holistic youth protection policy for all employees that includes best practices for employee screening, a code of conduct that elaborates on “duty to report” fundamentals, and explicit reporting procedures. All employees should receive youth protection training that communicates a culture of zero tolerance and provides a platform to discuss cultural and systemic barriers to understanding and reporting child abuse. Training should define youth protection and child abuse, provide discussion of healthy boundaries, and reinforce the LMG Personnel Policy. Efforts should be taken to regularly engage employees and to reinforce a policy and culture that will not tolerate child abuse, including an internal communications campaign and sharing of materials generated through a partnership with national or local organizations working to end child abuse. LMG should convene a cross-functional team to further enhance program-and department-specific youth protection policies and practices, including accountability measures.